Location: The North/South Trail spans the entire length of Land Between The Lakes and the trailheads are located off of Woodland Nature Trace (Hwy 453). Trailhead: North Section access located at Golden Pond Visitor Center, North Welcome Station, and Jenny Ridge Picnic Area. The South Section is accessed via the South Welcome Station, The Homeplace, and Golden Pond Visitor Center. Trail Description: The N/S Trail is a 58 mile point to point trail. It does intersect several roads that offer several loop opportunities and access points to hike the trail in sections. The northern portion of the N/S Trail provides sections where the trail runs parallel to Kentucky Lake. These stretches feature scenic lake views of many of the bays on Kentucky Lake. The N/S Trail is a multiple-use trail. Bikers and hikers share part of the northern portion of the trail. The trail winds up and down wooded hollows in several parts. Most of the hills are moderate however the total elevation can add up if you hike a large section. The North Section of the trail totals 30 miles. The southern portion of the N/S Trail consists mainly of old, double-track roadbeds interspersed with some single-track corridors. The trail meanders through scenic remote areas of wooded ridges, wildlife clearings, and mature bottomland hardwood stands. Approximately 11 miles are multi-use and hikers and equestrians share the trail. 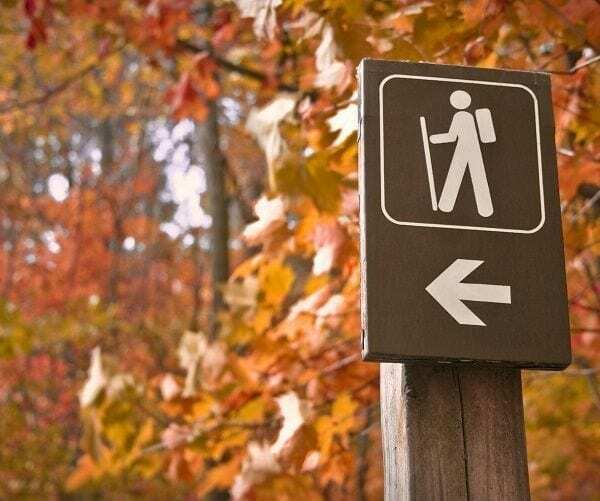 Overnight camping is permitted along the North/South Trail. An overnight Backpacking Permit is required.